The freight claims process can be very complex, but with a little knowledge, you can better prepare yourself and your company in case you need to go through it. 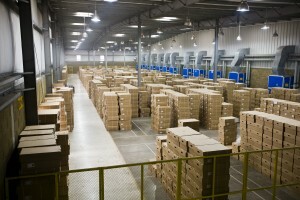 We talked last week about the ways your business can minimize damages to your freight. Even if you follow all of the best packaging practices, however, freight damages can and will happen to you, and it can be very frustrating. And if you’re not familiar with the process of freight claims, it can be even more of a headache! The freight claims process can be incredibly complex, especially since damaged freight isn’t the only thing that can be claimed through this procedure. However, with a little knowledge, you can make the process a little less stressful when the time comes to go through it. So let’s discuss the ins and outs of freight claims! So What, Exactly, is a Freight Claim? If these conditions are fulfilled, then the carrier is deemed to be liable for the damages unless they can prove there was another reason why the damages occurred. They can argue, for instance, that the shipper didn’t package the shipment properly or that some force of nature caused the damage. If you need to file a freight claim, you should do so as soon as possible. You’ll need to gather the general information about your shipment, as well as the amount and details of the damage or loss. When filing, you’ll also need to provide the original bill of lading, the paid receipt, any reports or certifications that were provided, and the proof of value that was lost as a result of the damage. There are a few things you should definitely do if you have to go through the freight claims process that will make your life a little easier. File quickly. Many carriers have specific deadlines for filing claims (the law specifies at least 30 days) and you may not be able to receive compensation for your damages if you miss the deadline. Ask the carrier about this information before sending your shipments so you’ll have it in case something does happen. Record all damage accurately. You need to have documentation that points out the exact damage that occurred to your shipment and the extent to which it has affected your company. In addition, these damages need to be provable – hold on to all of your damaged goods until the claims process is completed. Pay the freight bill. Not paying the bill, even though you may feel justified in doing so, can actually work against your company during the claims process. On the other hand, there are some things you shouldn’t do in this situation as well. Don’t be careless when it comes to packaging your shipment. Always use best practices so it doesn’t work against you during a potential claims process. Remember: if the carrier can prove that the damages were not their fault, they do not have to provide reimbursement. Shipper carelessness is one of the factors considered a legitimate excuse in the eyes of the law. Don’t neglect your due diligence when it comes to choosing a provider in the first place. Consider all factors before shipping your goods. An experienced third-party logistics provider such as AFP Global Logistics can help you choose the best carrier for your needs, while also helping you make sense of each individual carriers’ claims process should the worst come to pass. This entry was posted on Friday, May 25th, 2018	at 11:55 am	and is filed under Business Basics	. You can follow any responses to this entry through the RSS 2.0	feed. Both comments and pings are currently closed.